Following our earlier insight on contaminated bunkers, we now focus on the bunker supplier and the supply contract. Before looking at these in more detail, however, we briefly summarize the situation at present. Little or no headway has been made in identifying the root cause of contamination and advanced testing, such as detailed Gas Chromatography combined with Mass Spectrometry (GCMS) and Fourier Transform Infrared Spectroscopy (FTIR), still remains the only reliable means of establishing whether the bunkers are contaminated. There is still a considerable backlog when it comes to advanced testing. No authority other than USCG has issued an official circular or alert on this issue to date. 1.There have been unconfirmed reports that bunker suppliers are altering their standard bunker supply forms by excluding reference to ISO 8217 and shortening the time bars from 30 days to 15 days, or even 7 days; and are also offering contaminated bunkers at a cheaper price. 2.The contaminated fuel is being de-bunkered in various ports across the world and this presents a clear risk as it could find its way back into the supply chain. Some states may treat de-bunkered fuel as ‘waste’ which may further complicate de-bunkering activities. 3.Vessels suffering from engine problems due to off-spec fuels may attract the attention of Port State Control Authorities, especially in states under the Riyadh MOU and Vina Del Mar MOU since the ongoing CIC in these regions are focusing on machinery. 4.Owners and charterers should be familiar with the International Bunker Industry Association’s (IBIA) “Best practice guidance for suppliers for assuring the quality of bunkers delivered to ships” which was released early this year. The guidelines are a good source of information for members and clients in knowing how suppliers can ensure better fuel quality. 1.Clearly describe the fuel requested: The bunker order should contain a clear description of the bunkers to be supplied as the supplier is obliged to supply fuel as requested. At the requisition stage, it may be mentioned to the supplier that the bunkers should be free of various anomalous components and be fit for purpose. It is worth noting that although the buyer may deem the fuel to be unsuitable due to contaminants and in breach of Cl.5 of ISO 8217, there is a valid argument against this line of thought that the fuel was nonetheless within contractual parameters. It remains to be seen how courts will interpret the openly worded Cl.5. -disclaimer excluding warranty as to fitness of the fuel. It is in the suppliers’ interest for the contract to exclude any reference to ISO 8217 and/or for time bars to be excessively short if there are no clauses warranting that the fuel must be fit for consumption. Ensure that the supply contract is not worded in favour of the supplier. It is recommended to use BIMCO’s Standard Bunker Contract as it is more evenly balanced. With regards to ISO 8217 contracts should expressly specify that anomalous components must not be present. Simply stating that ISO 8217 standard must be met may not be sufficient. 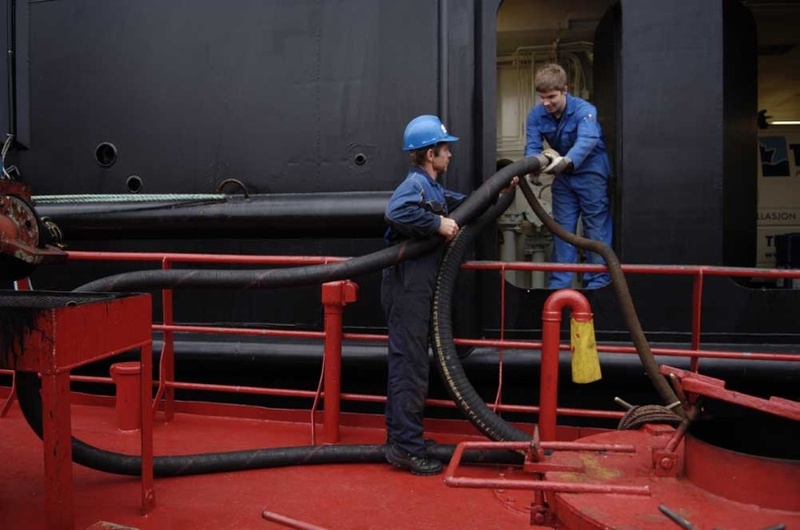 1.Pre-delivery testing should be part of the contract: It is best if buyers (owners or charterers) know beforehand that the fuel supplied conforms to the specs and is not in any way contaminated. This is achievable only through advanced screening or testing, such as detailed GCMS, FTIR etc. Try making the supplier contractually responsible for such testing and if possible also obtain information as to where the bunkers are sourced from. This information will influence how adamant a buyer should be about pre-delivery testing. 2.Know how the selected forum treats bunker disputes: If unable to renegotiate the law and jurisdiction clause governing the supply contract, buyers should at least familiarise themselves with how the relevant jurisdiction treats bunker disputes. 3.Be aware that the full extent of loss may not be claimable: Bunker supply contracts invariably have a limitation of liability clause, usually limited to the cost of the bunkers, and exclude consequential losses, i.e. a claim for lost time and engine repair cannot be put forward. Depending on the bargaining power of the buyer, the wording of the clause could be re-negotiated. 1.In bunker disputes, evidence in the form of bunker samples, test reports, damaged parts, records etc., is vital. A comprehensive list of documents which may be needed can be found by clicking here. When conducting additional testing and survey of damage parts, the bunker supplier should be invited to witness the same. 2.Very often the physical supplier and the contractual supplier are not the same. In the absence of a contractual link between the buyer and the physical supplier, any claim will most likely have to be made in tort. 3.Claim against the contractual supplier is very much dependent on the jurisdiction it is heard in and on the terms and conditions of the bunker contract. 4.Claimants, i.e. buyers of bunkers, will have to shoulder the burden of proof to show that the bunkers supplied were not of the contractual description and that the off-spec bunkers were indeed the cause of machinery damage. Whilst the former can easily be satisfied with the advanced test results, for the latter, detailed documentary evidence, as mentioned in ‘a’ above, and expert evidence may be needed. 5.Upon purchase a buyer should reserve their position vis-à-vis the time bar in the bunker contract. Such reservations may not work in every jurisdiction, nonetheless this precautionary step is still advisable. There is also an argument, though not tested, that the court will take cognizance of the fact that these contaminants cannot be detected in a short time period. 6.As far as English Law is concerned the position is that under Section 14 of Sale of Goods Act 1979 the implied terms of fitness for purpose and satisfactory quality will apply assuming the bunker contract is construed as a contract of sale, though it was not in the OW litigation. 7.Members and clients are reminded to notify the club as soon as contaminants are detected or suspected. Bunker quality disputes can be very lengthy, costly and complex but can be avoided if a sound decision is made as regards selection of the supplier and negotiation of the bunker contract. Increased dialogue between suppliers and buyers (time charterers or owners of voyage chartered vessels) may be needed to achieve the right level of understanding and cooperation. Next: 10 Years On From Lehman, How Is Shipping’s “Hangover”?